As much as I love color, I really love a black and white monochromatic theme. 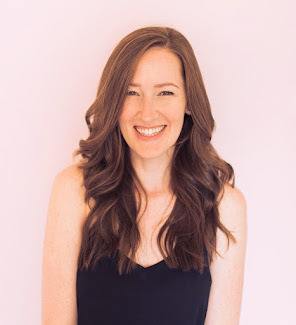 And I love a modern, minimalist type of look also. 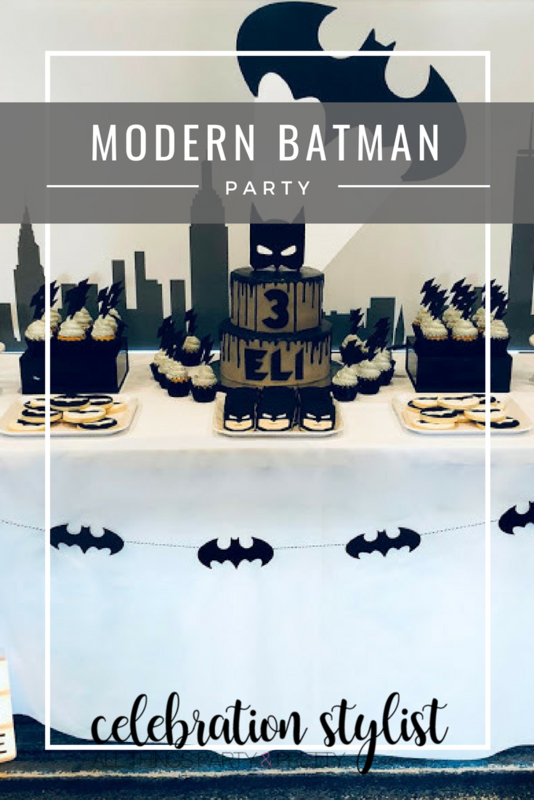 So when one of my clients, who I also did this party for, asked for a Modern Batman party, I was all over it! She loved this party, so we used that as inspiration and then made it our own. We stuck with only black, white, and grays with a little bit of yellow thrown in here and there. Their last name actually is Wayne, which was SO perfect for this theme. I love including that little detail wherever I could. The main focus was the sweets, and that amazing cake. The backdrop I designed in photoshop and had printed as a banner at Staples. 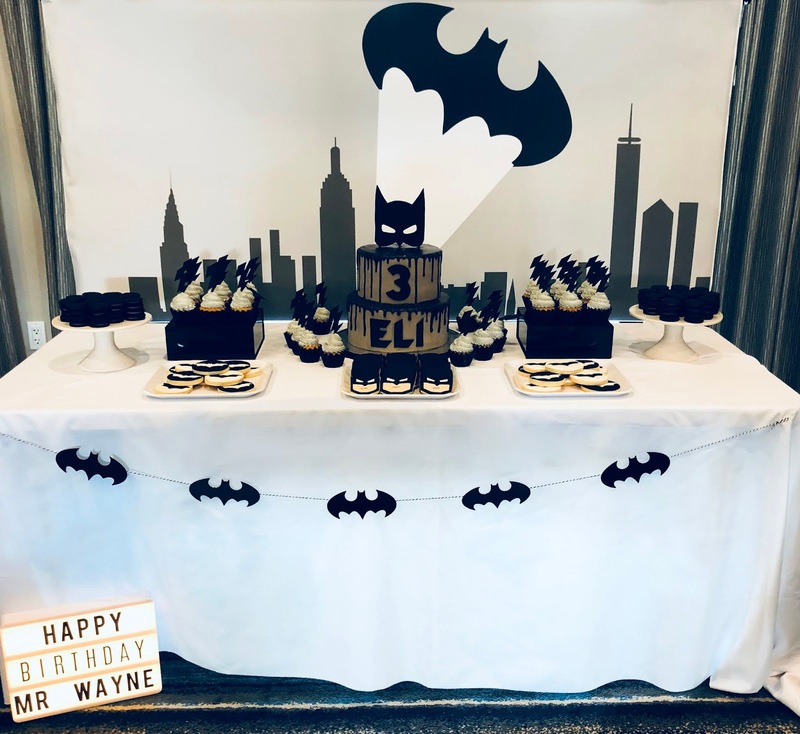 The banner was made with my Cricut Explore Air 2 ™. And what's a monochromatic party without some oreo stacks? 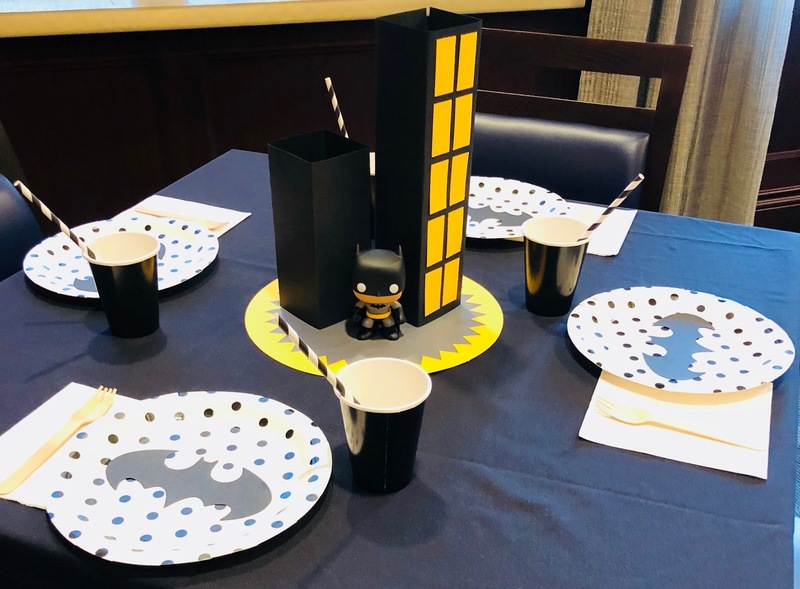 The skyscraper centerpieces I made out of paper and added this little Batman figurine. 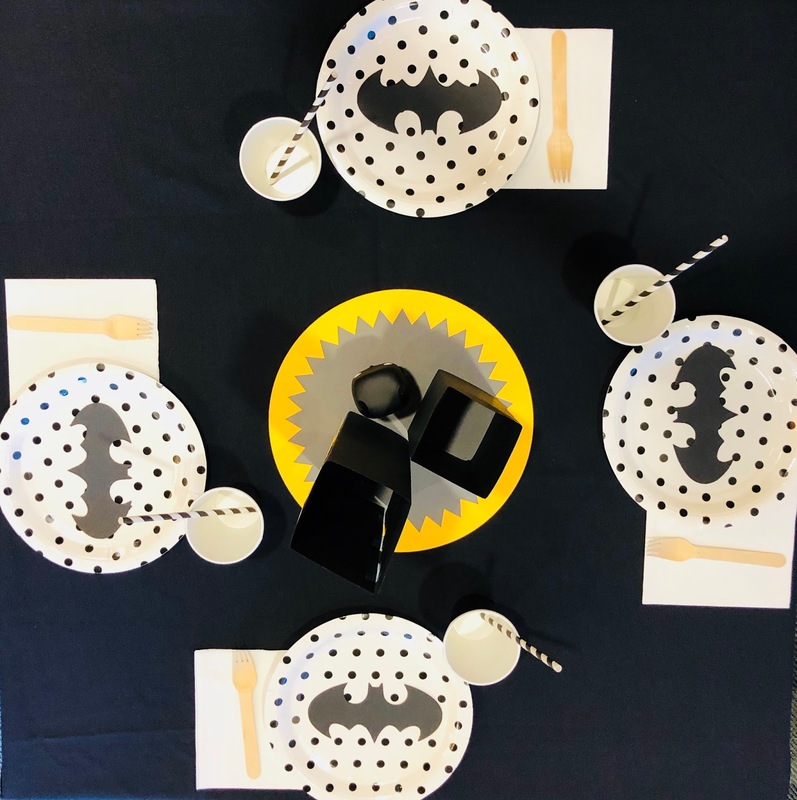 The plates are just polka dot plates from Amazon with a Batman paper cutout placed on top. The wood flatware is one of my favorites for the kids and adds a little warmth to this black and white table. 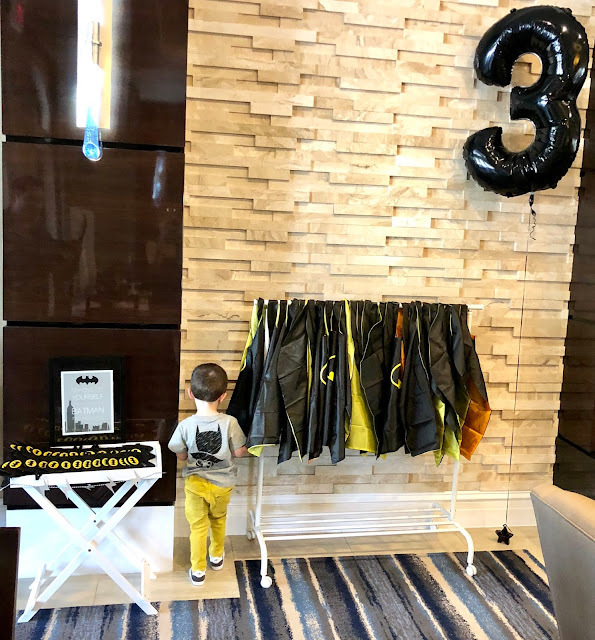 She ordered masks and capes as favors for each of the kids and we displayed them on a white rolling rack from Ikea and this cute little white multipurpose tray table that I love to have around for parties. 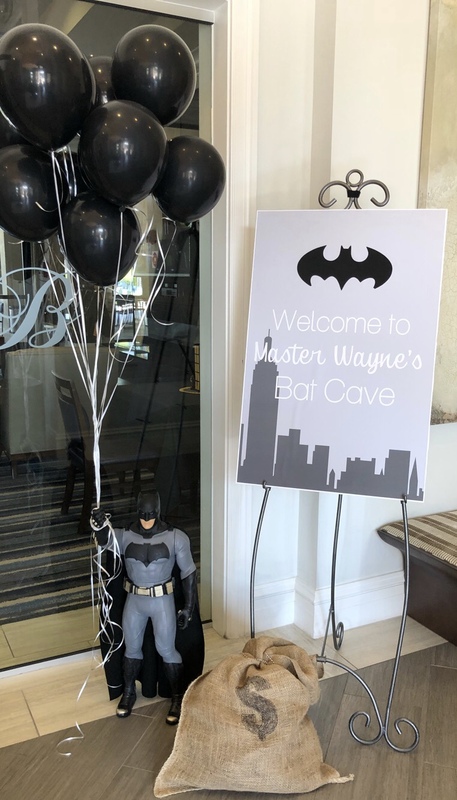 The welcome sign, I also designed and printed and the Batman she found online somewhere. The money bag was made from a burlap potato sack. The party was held in their neighborhood clubhouse for 20 kids. 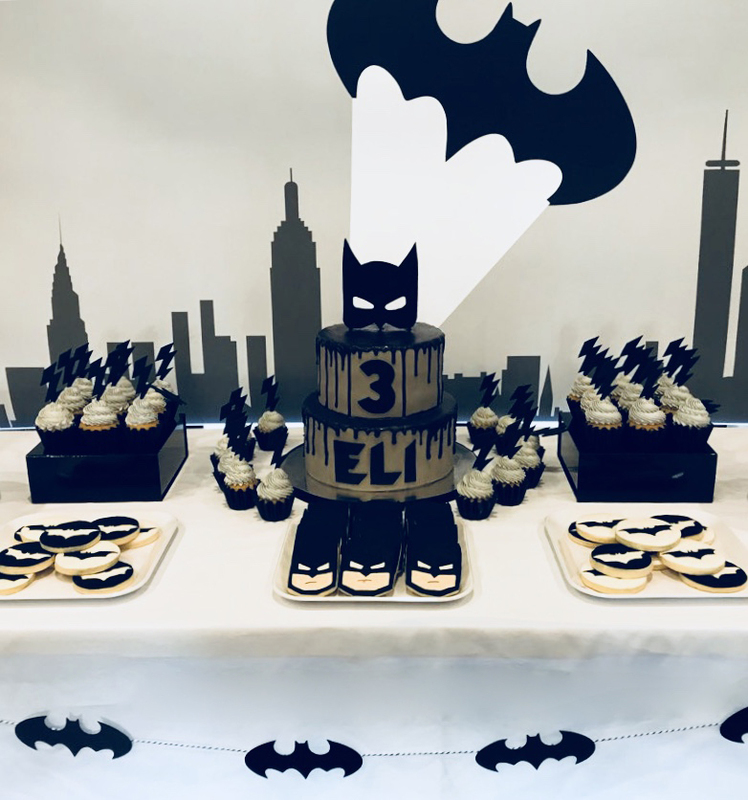 She had a music teacher and Batman himself attend as entertainment. They served food for the adults and kids and definitely had enough sweets for everyone. The kids had a blast!